The perfect pools to swim are definitely indoor olympic pools. Swimia.com wants your feedback to ensure all the information is valid, since maybe this pool is no longer open towards the public. The perfect Indoor Pools in Munich are situated mainly in huge cities but it's also common to find public pools in rural areas. Please check the nearest Pools or Contact us to ADD IT. It's free! Please contact the facilities to check which activities are offering and their timetables. 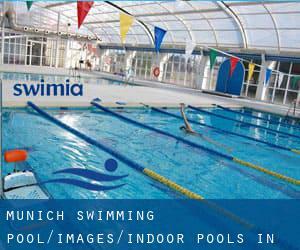 Thanks to some new Indoor Pools in Munich submitted each day, Swimia.com is escalating daily the number of stored pools. Please don't hesitate to make contact with us if you ever come across any inaccurate or incomplete information. Updated on 2019 Cosimastrasse 5 , Munich , GERMANY (Postal Code: 81925). This sports center gives 25 meters, Indoors. Contact information for this Swimming Pool such as phone number and email address are number. Updated on 2019 Weinbergerstrasse 11 , Munich , GERMANY (Postal Code: 81241). Among all the activities offered by the center, if you are interested in swimming you will enjoy 25 meters, Indoors. If you need to make contact with this Swimming Pool, e-mail address and phone number are both number. Updated on 2019 Klausener Strasse 22 , Munich , GERMANY (Postal Code: 81547). This sports center provides 25 meters, Indoors. Contact facts for this Swimming Pool such as phone number and email address are number. Updated on 2019 Schleissheimer Strasse 142 , Munich , GERMANY (Postal Code: 80797). This sports center provides 33 meters x 13 meters, 1 meters - 3 meters depth, 1 meters - 3 meters depth, Indoors. Contact information for this Swimming Pool similar to phone number and email address are number. Arabellastrasse 6 , Munich , GERMANY (Postal Code: 81925). Among all the activities offered by the center, if you are considering swimming you can expect to enjoy ~20 meters, Indoors. If you need to contact this Swimming Pool, email address and phone number are both number. Ungererstraße 175 , Munich , GERMANY (Postal Code: 80805). This sports center provides 25 meters x 10 meters, Indoors. Contact knowledge for this Pool such as phone number and email address are number. Updated on 2019 Heinrich-Wieland-Strasse 24 , Munich , GERMANY (Postal Code: 81734). Swimmers like you reported 25 meters, 6 lanes, Indoors. Phone number and e-mail address are number for this Pool. Staffelseestraße 6–8 , Munich , GERMANY (Postal Code: 81477). Among all the activities provided by the center, in case you are interested in swimming you might enjoy 25 meters x 10 meters, Indoors. If you must contact this Swimming Pool, email address and phone number are both number. Updated on 2019 Valleystrasse 37 , Munich , GERMANY (Postal Code: 81371). Swimmers like you reported 25 meters, 4 lanes, Indoors. Phone number and e-mail address are number for this Pool. Updated on 2019 Stäblistraße 27 b , Munich , GERMANY (Postal Code: 81476). Among all the activities offered by the center, if you are enthusiastic about swimming you will take pleasure in 25 meters, Indoors. If you'll want to contact this Swimming Pool, email address and phone number are both number. Updated on 2019 Olympiapark , Coubertinplatz 1 , Munich , GERMANY (Postal Code: 80809). Swimmers like you have reported Olympic size x 21 meters, Indoors. Also, you will find Olympic size x 12.5 meters, 5 lanes, Indoors. If you need to contact this Swimming Pool, email address and phone number are both number.